It’s a sign of the times, perhaps, that a new store selling reasonably priced branded clothing and sneakers aimed at younger buyers has replaced a store plying expensive flashy watches. But at least the slumping economy has not reached the stage where this Old Town building returned to its pre-war Depression-era function – a pawn shop. 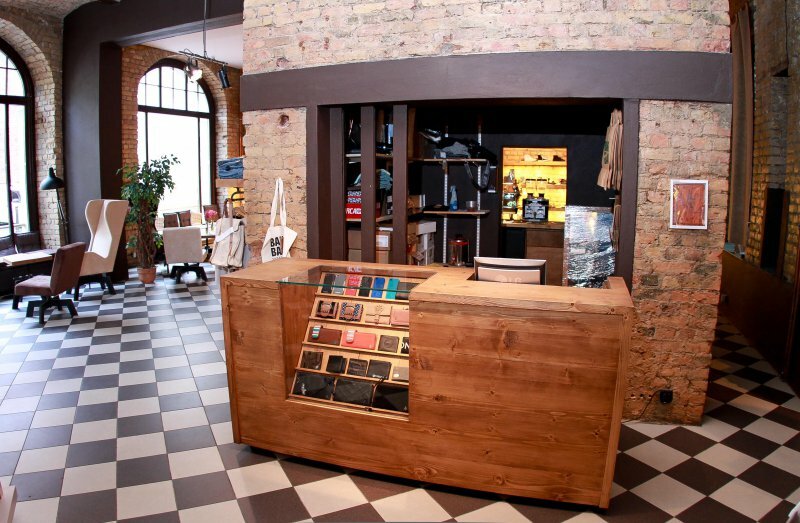 Inside Bang Bang Shop & Coffee, located in a maze of historic buildings and tight cobbled streets, you can still see the black floor-to-ceiling walls of the old pawn-shop safe where valuable belongings sold in exchange for much-needed cash were kept. These days, though, this shopping space has never had it so good. 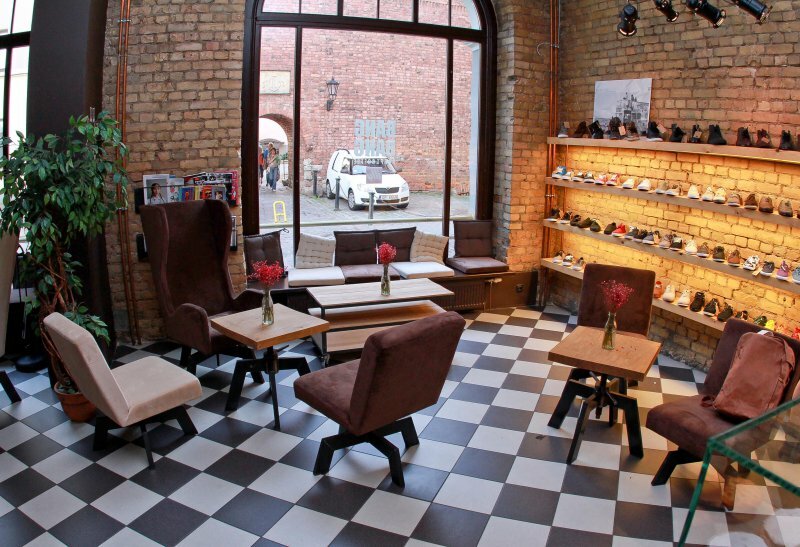 Beneath the elegantly vaulted brick ceilings, to the sound of quirkily bouncy music – Röyksopp and the like – young and youngish customers rifle through shelves and racks packed pull of trendy street fashion. This is not high-end apparel, but it is highly sought-after. Brands such as Cheap Monday from Sweden and Makia from Finland show how Scandinavia is pioneering 21st-century skate-and-surf wear. 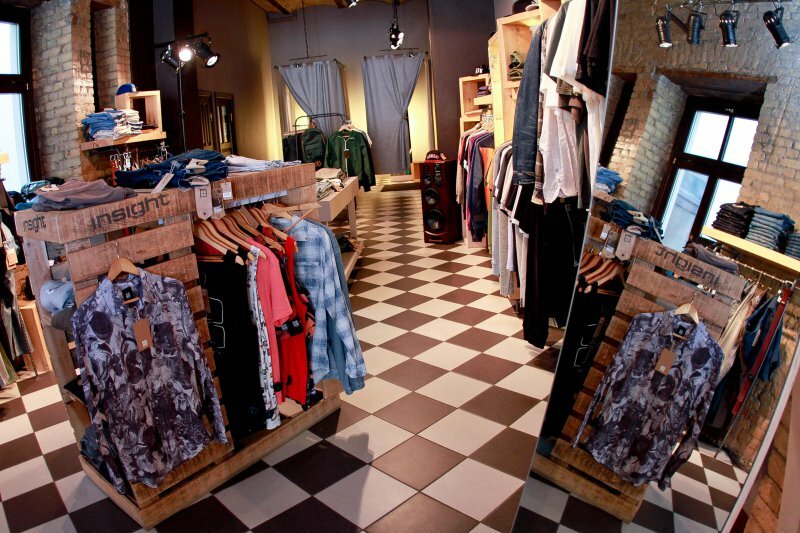 Volcom, a name well-loved in the board-sports arena, is similarly represented, and the hip Canadian brand Herschel is on hand for bags and accessories. Examples of around a hundred sneakers and skate shoes, in every possible color and model but mostly by US brands such as Nike and Vans, line an entire wall. An exhibition of pictures by graffiti-inspired local artists decorates the brickwork, emphasizing Bang Bang’s ultra-casual style. The images change every month or two and it’s possible to buy and take them home. As the name of the store makes clear, there’s another unique angle going on here. It’s possible to take a shopping break or ponder your potential purchases on comfortable, custom-made, Latvian-designed chairs, cup of coffee in hand. There’s no alcohol, and nibbles only go as far as a choice of cookies, but the coffee (illy) is excellent and chilled drinks and hot chocolate are available too. As the days warm up, it’s possible that one of the massive windows will open up and the seating extend to a small courtyard across the street. Bang Bang has taken off so well that it has even brought out its own limited-edition branded T-shirts, caps, and other items. Find them coolly positioned around a fine-looking Honda motorcycle near the entrance. If you happen to be a board-sports enthusiast, you should also visit Bang Bang’s “sister store” Boards.lv out at Bruņinieku Street 29/31 (map ref. C-2). While we last visited Bang Bang, a surprising number and variety of people walked through the doors. A large number of its customers appear to be tourists, and you certainly don’t have to be a young’un to enter. These days – another sign of the times – trendy street garb suits all ages.